India Consumer Electronics and Home Appliances Exhibition will live from 14th to 16th November 2019 at Bombay Exhibition Center, Mumbai. 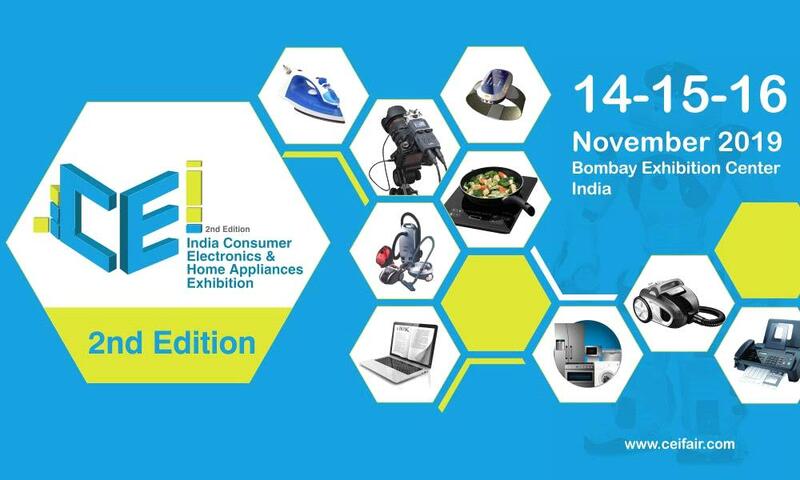 The India Consumer Electronics & Home Appliances Exhibition (CEI) will live from 14th to 16th of November 2019 at Bombay Exhibition Centre, Mumbai. 14 countries will participate on this event. This expo is conducted to find out the needs of the electronics, home appliances and personal care industry. CEI is the good platform for quality manufacturers from across the globe to showcase their products to top distributors, chain stores, hyper markets, trading houses, e-retailers and agents in India. Entry strictly for trade buyers on production of valid business cards. No registration Fees. No retail sale. Entry below 18 years will not be permitted.